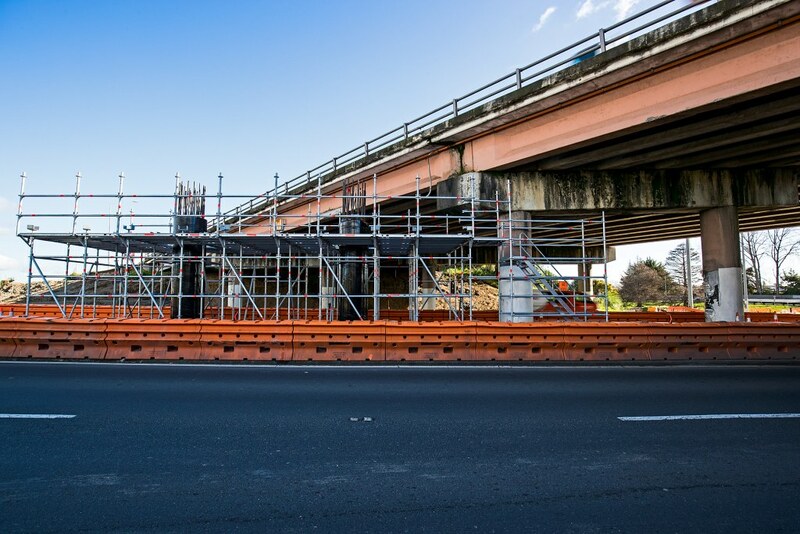 The Southern Corridor Improvements Project covers the stretch of Southern Motorway (SH1) from the SH20/SH1 connection at Manukau down to Papakura in the south. The Project includes additional lanes in both directions, upgraded Takanini Interchange and a 4.5km shared use pedestrian / cycle path. The purpose of the project is to address existing bottlenecks at several locations along the Southern Motorway to provide a more reliable trip for all road users. There are also known safety risks at the Takanini Interchange, particularly at the northbound merge onto the motorway, which will be addressed as part of the Project. Rapid population growth is expected in this area over the next 30 years. We need to meet the immediate needs of the city's growth as well as future proofing for the longer-term. 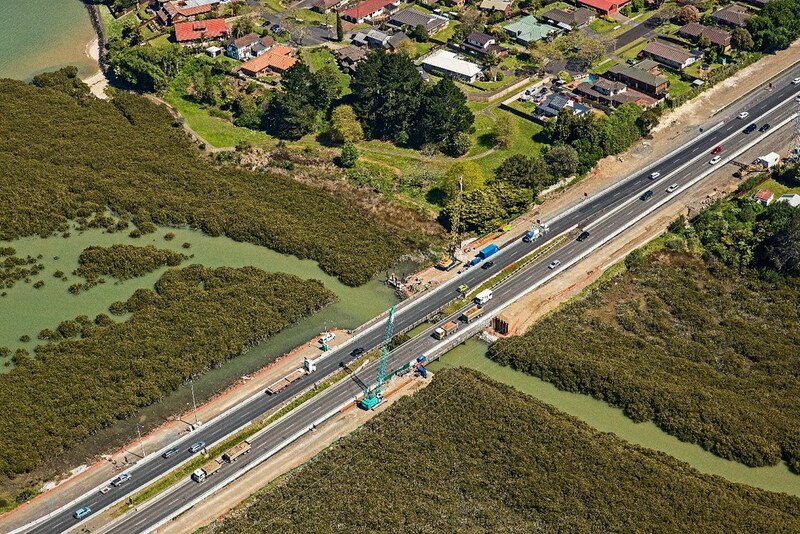 Improved journey reliability on the Southern Motorway (SH1). More lanes to improve traffic flow. Upgraded Takanini Interchange to improve safety and traffic flow. Improved connections between the local roads and state highway network to ease congestion. Better connections for freight and public transport. Improved walking and cycling facilities to connect communities. Improved safety barriers and lighting. New or improved noise walls, urban design and landscaping. The Southern Corridor Improvements project is extremely complex and work is taking place within a highly constrained and narrow motorway corridor, resulting in a staged construction approach to ensure the motorway continues to operate during the work. The additional third southbound lane opened on schedule mid-last year (2017) to provide benefits between Hill Road and Takanini, and from Takanini to the Pahurehure Inlet, including the new Takanini southbound off-ramp. The rest of the project will continue to be opened in stages as it is completed from early next year, with full project completion by the end of 2019. The Takanini northbound on-ramp will be completed in December this year and work will be carried out during the holiday period to open the ramp in January (2019) as a ‘lane gain’. The longer on-ramp and removal of the existing merge onto the motorway aims to reduce queuing on this on-ramp and around the Takanini Interchange, and improve northbound (citybound) flows on the motorway. Completion of the shared walking and cycling path alongside SH1 between Takanini and Papakura, including opening the Pescara Point pedestrian bridge over SH1. To see the latest photos and read about works progress, please read our construction update. four lanes between the SH1/SH20 connection and Hill Road (currently three lanes). three lanes between Hill Road and Papakura (currently two lanes). three lanes from Papakura to Takanini (currently two lanes). 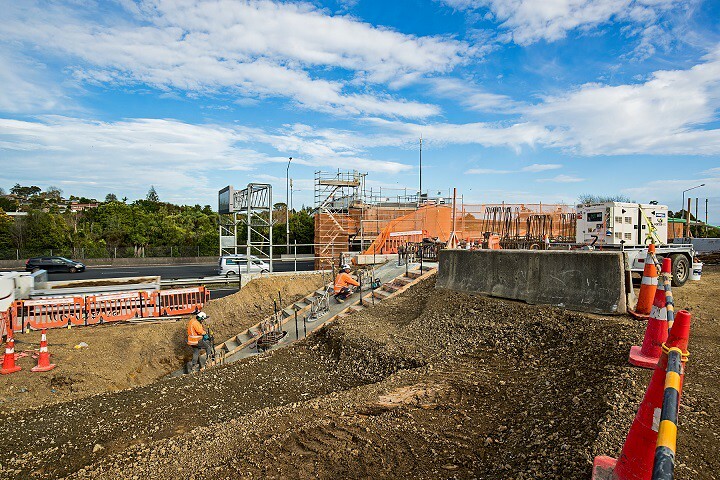 Upgrading the Takanini Interchange to provide a freight lane, new ramps and improved safety. Walking and cycling improvements including a shared use path from Takanini to Papakura. LED lighting will be a key feature, along with new barriers to improve safety. A full upgrade of the Takanini Interchange to improve safety and operation is proposed. This includes enhanced pedestrian and cyclist facilities in the form of shared-use pedestrian and cycle paths along both sides of Great South Road through the Takanini Interchange area. Signalised pedestrian and cycle crossings will be provided at the intersections. A new 4.5km off-road 3m wide shared-use pedestrian and cycleway is proposed to run along the corridor between Takanini and Papakura Interchange. This pedestrian and cycle way will run along the western side of the motorway and provide local road connections to Great South Road, Brylee Drive, through the reserves at both Walter Strevens Drive, Gardone Terrace and Pescara Point. 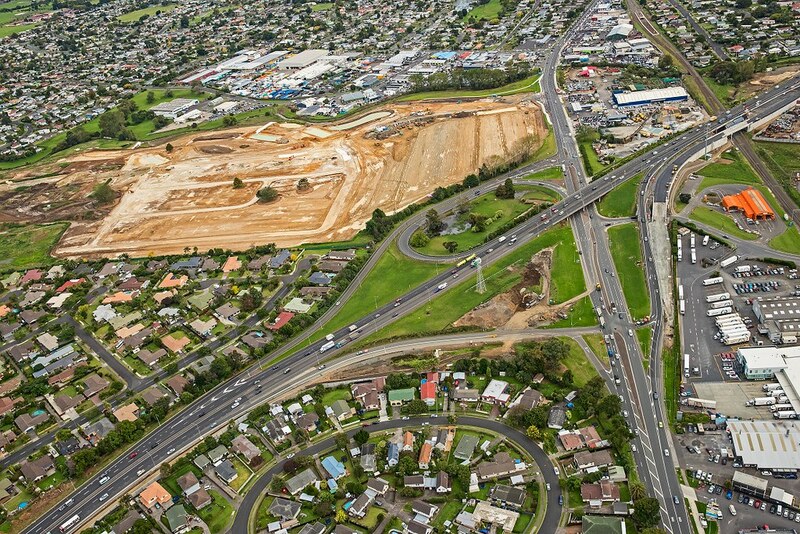 It will end with Hingaia Road at Papakura Interchange. Two separate bridge structures will provide a connection across the Pahurehure Inlet. The proposed bridges will provide a link either side of the Inlet (at Conifer Grove Esplanade Reserve (north bank) and the Pescara Point Reserve (south bank). A new pedestrian and cycle overbridge is proposed to cross the motorway adjacent to the Pescara Point Reserve. This iconic structure will link the communities either side of the motorway, and connect into the new 4.5km off-road pedestrian/cycle. The Southern Motorway (SH1) is an essential part of Auckland’s transport network and is the primary route between Auckland, Hamilton and Tauranga. In 2013, the Government announced an accelerated programme for investment in key projects, including the Southern Corridor. The accelerated projects will help ensure that these routes, which provide the backbone to national economic growth and productivity, provide better links and improved journeys. The Southern Corridor is the stretch of Southern Motorway between the SH20/SH1 connection at the northern end and Papakura to the south. The Southern Corridor is a key strategic route from the north, connecting Auckland to Hamilton, Tauranga and the rest of New Zealand. Improvements to SH16 and SH20, with the completion of the Waterview Connection project in 2017 and the entire Western Ring Route in 2021, will increase the amount of traffic reaching SH1 heading southbound, in particular during peak times. Recent growth predictions forecast that Auckland’s population will grow by another one million residents over the next three decades. This includes an additional 160,000 people, equivalent to a city the size of Hamilton, located in the southern area alone. Our focus is on meeting the immediate demands of the city’s growth, whilst future-proofing for the long-term picture for Auckland to make the most of new infrastructure such as the completed Western Ring Route, City Rail Link, AMETI, additional Waitemata Harbour Crossing and the Puhoi to Wellsford motorway extension. The Transport Agency’s aim is to deliver an integrated and reliable journey to customers – whether travelling by car, truck, bike or public transport. Motorists experience frequent bottlenecks at several locations along the Southern Motorway, in particular between the SH20/SH1 connection and Papakura, including the Takanini Interchange, creating significant delays and eroding journey reliability. This is caused by an imbalance in the number of lanes heading both northbound and southbound with the fluctuation from three to two lanes. Additionally, growth in South Auckland is increasing the amount of congestion on the local road network at Great South Road with frequent delays for motorists and buses. This is also having an effect on traffic entering and exiting the motorway at the Takanini Interchange. There are also known safety risks at the Takanini Interchange, particularly with the northbound merge onto the motorway. A lack of walking and cycling facilities along the southern corridor means fewer trips are made by foot or bike, leading to increased car use for short distance trips.